With the dawn of the 2017-2018 school year, ESSA is now in full implementation. ESSA includes a significant amount of new requirements under Title I related to English Learners (ELs). These EL requirements apply to all Title I funded districts regardless of whether the district receives Title III funds. Therefore, Title I staff in school districts now must have someone with expertise in the provision of language instruction educational programs for ELs. This presentation provides details regarding the Title I requirements related to ELs and includes some suggestions for cooperation and collaboration between those involved in the education of ELs and Title I staff. One or more presenters on this session represent an organization selling products or providing services to the ESEA market. 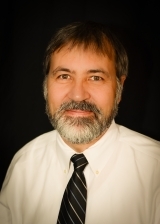 Dr. Holbrook has nearly 6 years experience in Wyoming as Federal Programs Division Director, Title I & Title III Director. He helped districts understand and implement EL programs and services. He was trained by the US Dept of Ed (USED) and assisted in the monitoring of Title III in five states.